Science July 14, 2012 / By Mahir Ozdemir, Ph.D. Various problems with the right interpretation of fMRI studies. Hardly a week passes without some sensational news about brain scans unleashing yet another secret of our cognitive faculties. Very recently I stumbled upon the news that according to recent research neuroscientists can tell, depending on your brain responses, whether you and your significant one will still be together in a few years: “You might hide it from friends and family. But you can’t hide it from neuroscientists”. The technique at the bottom of the study, just like the majority of studies making a big splash, is functional magnetic resonance imaging, fMRI. Researchers have been struggling to unfold ‘what’s under the hood’ through the lens of Neuroscience and they have been finding all sorts of insights into human behavior. They have been looking at everything from how multitasking is harder for seniors to how people love talking about themselves. Neural basis of love and hatred, compassion and admiration have all been studied with fMRI, yielding colored blobs representing the corresponding love or hatred centers in our brains. 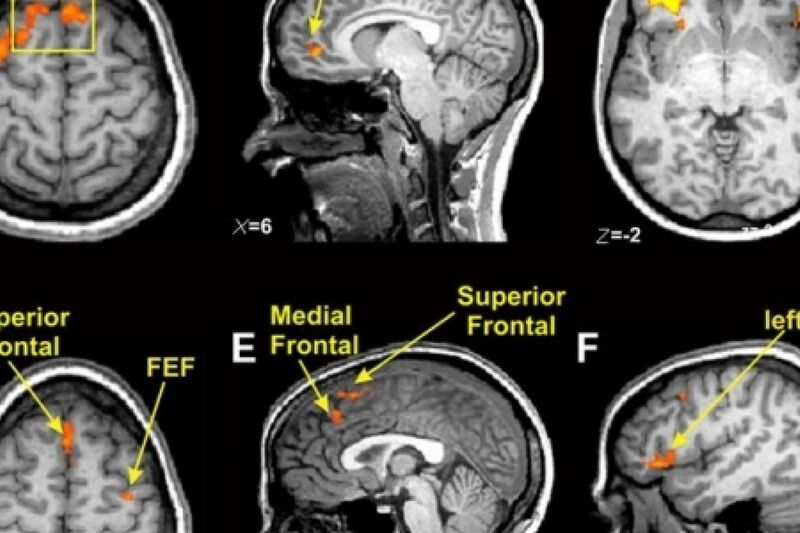 First a brief background: The fMRI technique measures brain activity indirectly via changes in blood oxygen levels in different parts of the brain as subjects participate in various activities. While lying down with head immobilized in a small confined chamber of the notoriously noisy MR scanner, subjects are shown experimental stimuli. They wear earplugs to reduce at least some part of the noise while performing these cognitive tasks. Like other brain imaging techniques, fMRI technique capitalizes on the coupling of neural activity, cerebral blood flow and energy demand. BOLD (blood oxygen level-dependent) mechanism that forms the basis of the vast majority of the fMRI techniques was first described by Seiji Ogawa. It is currently believed that when a cognitive task is performed, the area of neural activation becomes more perfused as a result of an increased need for oxygen. This, in turn, increases oxyhemoglobin concentration in the local tissue while the deoxyhemoglobin (hemoglobin without any bound oxygen) found in red blood cells decreases. Deoxy and oxyhemoglobin have different magnetic properties. Deoxyhemoglobin is paramagnetic and introduces an inhomogeneity in the local magnetic field of the hydrogen atoms and reduces the MR signal (MR signal comes from water molecules, hydrogen atoms in the water molecule to be precise). Oxyhemoglobin, on the other hand, is diamagnetic and has little effect. So a decrease in deoxyhemoglobin (i.e. an increase in oxyhemoglobin) would result in an increase in the received signal. In a nutshell, certain parts of the brain “light up” when people are doing simple cognitive tasks in MR scanners as a result of neural activity and researchers seek correlative information about various brain regions associated with the task or stimulus in question. Following Ogawa ‘s exciting work linking brain function to the received MR signal, BOLD mechanism was shown in humans by three different groups independently, which in turn started the flood of fMRI publications. The neuroscience and cognitive science communities all embraced brain imaging modalities, especially fMRI, with exuberance and as a result this technique expanded rapidly since its inception and has come to dominate research on the human brain. Given the giant interest and investments in this technology and the flood of publications revealing countless correlations between the fMRI signals and brain functions, it is astonishing how little we know about the BOLD signal and its accurate interpretation. Roy and Sherrington noted, 120 years ago, that the blood flow was tightly coupled to neuronal metabolism, inspiring later generations of scientist to pursue this proposal to indirectly map the neural activity in the human brain. Despite the impressively large amount of research done so far, even with the help of fMRI, the details of this mechanism and the underlying coupling between changes in local tissue oxygenation and in brain activations remain largely unknown and controversial. What is known is that so many different sources contribute to the BOLD signal including breathing, head motion, heart beat and firing rates of the local neuronal population. The relation between the fMRI signal and the neuronal responses is far from being understood. fMRI signals can be altered as a result of large changes in the firing rates of a small group of neurons but the same effect can also be generated due to small changes in the firing rates of a much larger group of neurons. One thing is clear though, this underlying principle is used in vast majority of neuroimaging methods, including fMRI, and the reported results one way or another catch everyone’s attention. A further complication is the lack of any standard or control against which the practitioners of fMRI can compare their data. The data acquired from preselected brain regions separated in cubic elements (called voxels) are usually compared statistically between a resting state and a cognitive task. But before these activated blobs in the brain can be seen, some statistical thresholds need to be set to reduce false positives and deliver more interpretable brain patterns. Actually, it is not uncommon for MR practitioners to use certain test objects (called phantoms) which are constructed with very well know properties and used to check the accuracy of the techniques. I admit, when it comes to fMRI this is not easy. After all, we are dealing with neural activation and brain function. Throughout my PhD, I every so often bumped into fMRI researchers at international conferences in the field and obsessively asked the same question: what would you see if you would scan an anthropomorphic mannequin head filled with water when the mannequin performs a cognitive task as in a typical fMRI session? This mostly resulted in a blank stare or a reply that went along the lines of “if I were you, I would keep this opinion to yourself”. So I had almost given up hope until somebody told me about the now-highly-cited Bennett study showing brain activation in a dead Atlantic salmon published in 2010. Given the post-mortem state of the subject and a very slim chance of having some brain activity, this study illustrates a serious pitfall of the fMRI studies, namely the problem of false positives. Bennett could increase the threshold to avoid false positives but this is not an easy job: how can you possibly know beforehand what is a true brain activity and what is not? Another worry is the reproducibility. fMRI studies tend to report on a small number of subjects typically around 15 to 20 and it is hardly common to check the reproducibility of the data. So what happens if the same subject keeps repeating the same task over and over again or a particular task is measured in large populations? Would we see the same brain region lighting up? Well, two studies published in 2012 (Javier Gonzalez-Castillo at the National Institute of Mental Health had 3 subjects, performing the same task 500 times over and Benjamin Thyreau at Neurospin, in France, and his colleagues scanned 1,326 people) targeted these questions and this is where the story takes some peculiar turns. It turned out that they could observe brain activity pretty much everywhere. It was far from being limited to particular “blobs”. So the idea that particular brain regions are involved in particular cognitive functions can be a statistical fluke. The results that Ethan Kross and his colleagues obtained at the University of Michigan add another dimension to the problem. They showed that the brain can’t tell the difference between emotional and physical pain as it turned out that same brain regions light up whether you’re burned by hot coffee or you think about an unwanted break-up. This creates a problem: it certainly suggest the possibility of what’s called reverse inference. Even if there is a very good correlation between a particular cognitive task and a brain pattern, we can’t possibly conclude that when the particular brain pattern in question is observed, the very same correlated task must be happening. Furthermore, another dilemma that always haunts correlational research such as fMRI is that because two things occur at the same time does not prove that one thing causes the other. This is one of the old clichés but also traditional tenets of science that correlation is not causation. What’s also difficult is to count on the (over)simplification that brain patterns recorded when subjects are performing certain tasks in the tunnel of MR scanners would reflect, accurately, their brain activity when the person is doing the same task in the real world. Although this may sound gibberish at face value, recent attempts made to use MR scanners as lie detectors justify concerns over this issue (a brain scan was accepted as a proof by a judge in India, sentencing a murder suspect to life imprisonment in 2008). When giving testimony in the laboratory setting, individuals may simply respond differently: innocents, when anxious of being disbelieved, might also show similar neuronal fingerprints as liars or liars might not be consciously aware that they are lying. The most obvious difficulty with the notion that fMRI can be used to detect lies is that it is methodologically impossible to test authentic lies with fMRI or any other tool in a laboratory setting. When subjects are instructed to lie, they are actually not lying. They are simply doing what they are instructed to do. So, how can we ever know what it means to lie if we have no way of testing authentic lies? Sometime in the future we might be able to overcome all these challenges and manage to image each single neuron in human brain, fully understand our brain’s neuronal and physical makeup. Can we then accurately tell what’s actually going on in someone else’s brain? Can we reduce the brain to its most basic units and explain all there is, our thoughts, decisions, memories and the human essence? Can this eventually deny man’s fundamental power, free will? This facet of problem underpins all consciousness research. It seems that neuroscience reductionism is now replacing its genetic counterpart to find an explanation for everything about ourselves using neuronal correlates instead of genes. While I understand and acknowledge the astonishing advancement of science and its benefits, I tend to think that this infinite spiral of reductionist path may not allow us to make the leap of truly understanding who we are. Science has already come a long way helping us in understanding the nature. Perhaps being creatures of nature, some aspects of it will forever elude us and we may never fully grasp the human experience. Mahir S. Ozdemir received his PhD degree in Biomedical Engineering from Gent University, Belgium with special interest in Magnetic Resonance Imaging. He is currently working as a scientist for a pharmaceutical company in Belgium. He loves reading and talking endlessly about the problem of consciousness. He can be reached at mahirsinan at gmail dot com. Follow on Twitter as @Mokkuy. This article originally appeared at Scientific American Blog. Mahir S. Ozdemir received his PhD degree in Biomedical Engineering from Gent University, Belgium with special interest in Magnetic Resonance Imaging. He is currently working as a scientist for a pharmaceutical company in Belgium. He loves reading and talking endlessly about the problem of consciousness. More about Mahir Ozdemir, Ph.D.